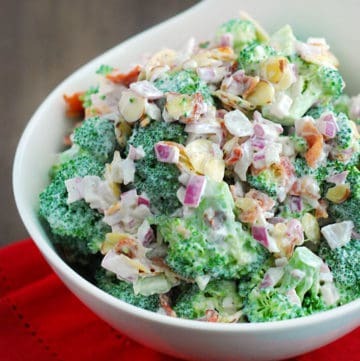 One of the best things to do if you have a busy week is to prepare your snacks and meals before. I tend to do mine on the weekends since I work during the week and I know I won’t have the energy to do so during the week on a workday. All you have to do is buy some plastic containers at the store, make sure tasty recipes for the week and store them in the refrigerator until it’s time for you to grab them on your way out the door. I know there are times you might have a dinner you need to prepare for company or maybe you didn’t make enough meals for the week. Whatever it is, it can add stress to an already busy day. 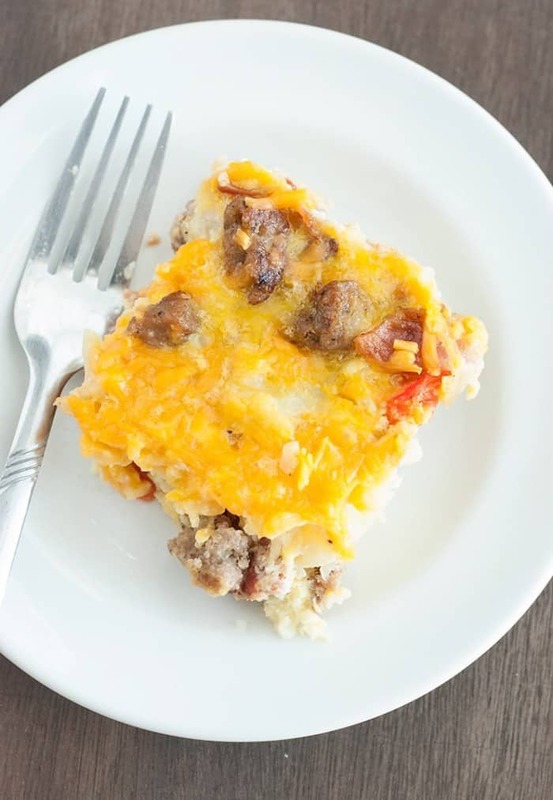 The easiest solution I’ve found is finding simple crock-pot recipes that allow you to set it and forget it. This allows you to toss some ingredients together in your crock-pot, go about your busy day and have a delicious meal waiting for you. 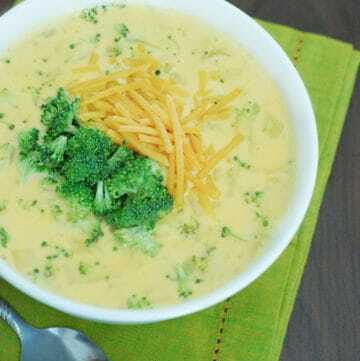 Two of my delicious crock-pot recipes are Crock Pot Lemon Garlic Chicken and Crock Pot Cheeseburger Soup. 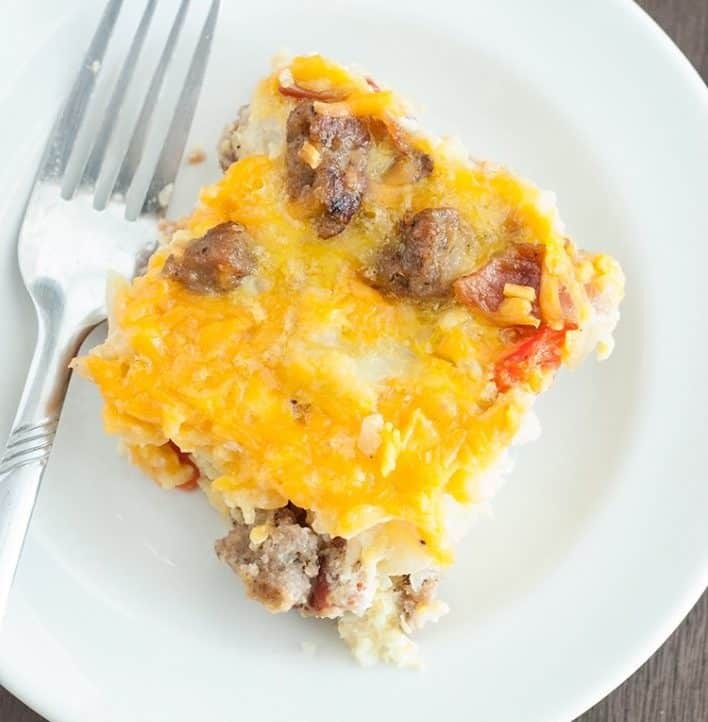 One of my most popular recipes, low carb chili, could also be made into a crock-pot favorite. We all have those difficult days when we’re struggling to stay awake or fight those terrible food cravings. That’s where caffeine comes in! Caffeine can help you get through the day by giving you some extra energy. It can also help with migraines, cravings and hunger. If you’re not big on coffee there are tons of herbal teas out there with very similar traits. But make sure to stick away from sodas! When you don’t eat enough protein it can cause unplanned hunger. Let’s say you had lunch prepared but you just didn’t have enough protein in it so about an hour later you were hungry but you didn’t bring a snack. This is typically when someone would look for a convenient and typically unhealthy option. Don’t put yourself in this situation by making sure you’re adding enough protein to your diet. My busy schedule has always been one of my number one excuses for why I don’t workout. But it’s just that, an excuse. All you need to do is set aside at least 20-30 minutes out of your day to sneak in some high intensity exercises. The best part is that these workouts tend to be more effective, boost your energy and aid in better sleep.You can easily look up some great ideas or try the high interval setting on a treadmill or elliptical. Often overlooked, remember to drink enough water. Grab yourself a cool sleek water bottle or maybe a previously used jug. Keep track of how often you fill it up and how much you’re drinking throughout the day. The typical goal is to drink at least 8 glasses of water per day. This helps keep your energy levels high, hunger low, digestion working properly and mind focused. Talk about packing some major benefits! Regularly drinking water also helps regulate real feelings of hunger. Sometimes we think our body is hungry but in reality it’s trying to tell us it’s dehydrated. One of my favorite times of the day is ripping my clothes off after a long day and hopping into the warm shower (or bath) and relaxing. I love to let the warm water roll of my head and shoulders, in a very therapeutic manner. It helps relieve any stiffness in your neck and shoulders. But my favorite benefit is how it calms your body, mind and nerves. Allowing me to wind down after a long and busy day. 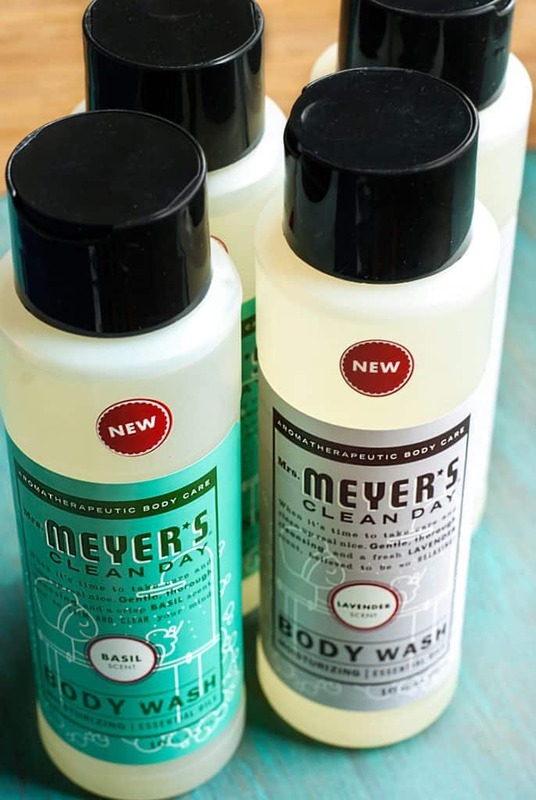 I love to treat myself with Mrs. Meyer’s Clean Day Body Wash. They’re fresh and scented cleansers that give your body the soothing and refreshing it deserves. It smoothes and softens your skin with Aloe Vera Gel, distinctive blend of essential oils and plant-derived ingredients. 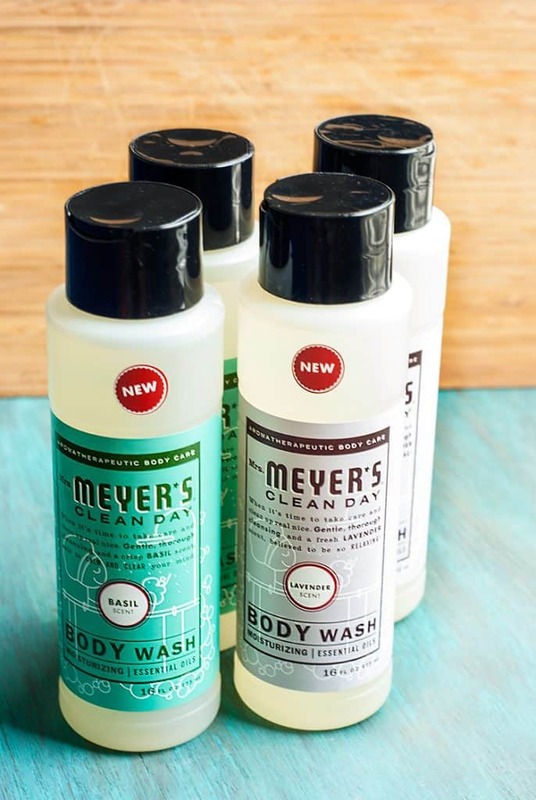 The Clean Day Body Wash is also free of artificial colors, ammonia, phthalates, chlorine bleach, parabens, gluten and phosphates. 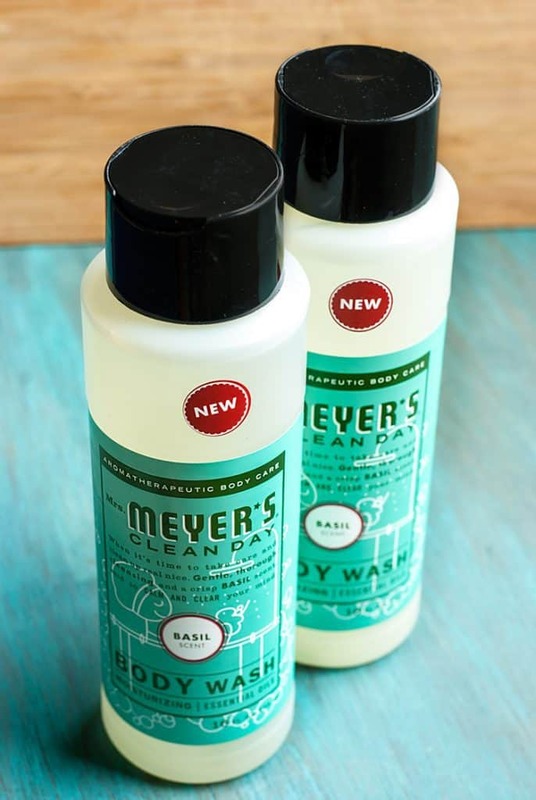 Two scents that are perfect for spring are the Mrs. Meyer’s Lavender or Basil Body Washes. My personal favorite is the Basil, it smells incredibly fresh without being overly powering or feminine. It’s my go-to! Another perk I love about them is that their packaging is not only simple and elegant to keep in the eye of guests but it’s actually recyclable, BPA free, produced in the US and at least 30% post consumer recycled material. Making it a thoughtfully made and fragrant choice!